Bahrain-based systems Integration company NGN International has joined hands with Group-IB, a specialist in preventing cyberattacks, to launch the first 24/7 intelligence-driven security operation centre (SOC) in Bahrain. The SOC launch was announced at a business breakfast in the NGN’s headquarters in Bahrain. It was attended by the kingdom’s government officials, C-level executives from Bahraini leading banks and other senior officials. The new NGN SOC powered by Group-IB enables the local government, private companies and financial organizations to get expert assistance in proactive monitoring, detection and prevention of any cyberattacks at early stages for better defence of their internal networks. “We are delighted to bring the first intelligence-driven 24/7 NGN SOC powered by Group-IB, based on Group-IB’s cybersecurity solutions to Bahraini government and private companies,” remarked CEO of NGN International, Yaqoob Al Awadhi. "Banks and government organizations are the driving force of Kingdom’s economic successes, and the backbones of its national stability. Its cyber vigilance is vital with the accelerating pace of Bahrain’s digital transformation," noted Al Awadhi. The opening of NGN SOC powered by Group-IB comes at a time when we are witnessing an increased threat actors’ activity in the region and frequent data leaks and compromise of personal financial information,” he added. One of the primary benefits of working with the new SOC is that it is fueled by Group-IB’s intelligence-driven products, such as Threat Detection System (TDS), which does not require complex integration and at the same time allows to prevent incidents using network traffic monitoring and analysis of files (e.g. emails) in an isolated environment. On top of this, the new SOC’s clients will be regularly receiving notifications about those who are preparing attacks on them and about advanced threat actors’ activity in the region, along with recommendations on how to protect against most advanced threat actors. While traditional SOCs use signature-based detection methods, which allow to only deal with known threats, the new intelligence-driven NGN SOC powered by Group-IB allows to know what to expect and makes it possible to prepare for attacks in advance thanks to actionable threat intelligence. The new SOC ensures the safety and security of customers’ sensitive information – it is organized in such a way that the information is stored securely and processed on the territory of Bahrain. "At the heart of any well protected organization is both technology and people. This is often found in a SOC, monitoring and responding to risks and keeping the organization safe from threat actors," noted Nicholas Palmer, Vice President of International Business at Group-IB. "For many organizations this is expensive. Not only expensive, nearly impossible to do well. Not because of the cost, but because of the shortage of cyber security talent," said Palmer. A shortage of talent and the speed of which they are required to hunt for advanced threats is one of the primary reason we are bringing both people and technology in partnership with NGN to Bahrain, he added. Our technology, experience monitoring for and investigating against advanced persistent actors is what we are bringing to the new SOC. 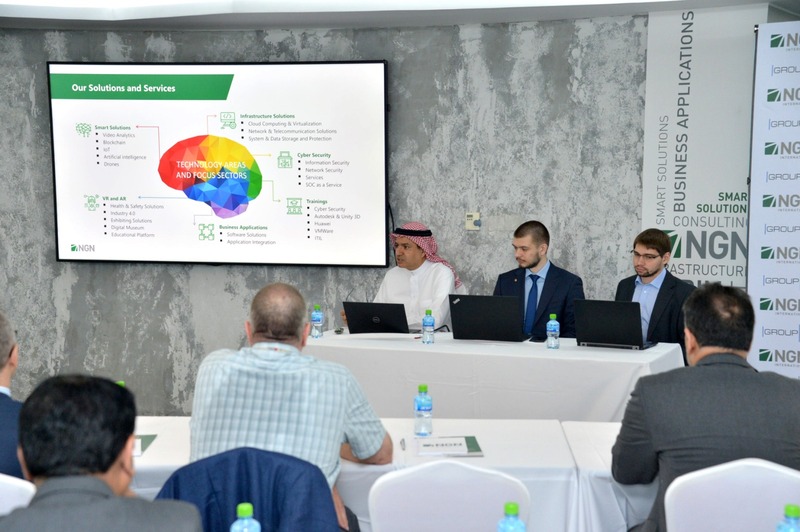 This will help companies and government organizations in the Middle East save money, and most importantly gain efficiency and experience in partnership with NGN SOC powered by Group-IB,” said Palmer. Group-IB and NGN alliance is a combination of years of successful threat monitoring and attacks prevention and a wealth of knowledge about local threats and the region itself. The opening of the first 24/7 intelligence-driven NGN SOC powered by Group-IB tailored to the Kingdom’s government institutions, banks and private companies is another step towards achieving a long-term goal of increasing cybersecurity awareness in Bahrain, it stated. Palmer said the lack of knowledge about evolving cyber threats, shortage of qualified cybersecurity analysts and lack of cyber hygiene are one of the major risks for the kingdom’s rapid economic growth.